Whether you want to create a lifestyle of wellness, cheer your heart out for a winning team, or feed your need for a little bit of healthy competition, Loyola offers a comprehensive range of facilities and opportunities to develop your whole self –– mind, body, and spirit –– at a level that’s just right for you. 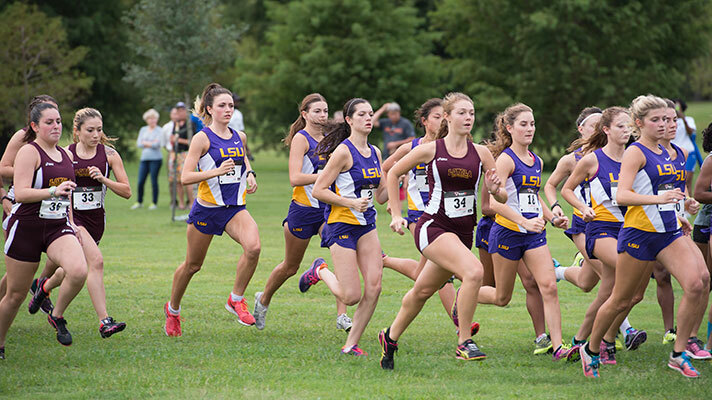 Loyola Wolf Pack teams compete in the NAIA Division I as a member of the Southern States Athletic Conference. As a varsity player, you’ll enjoy the company of student-athletes who excel on the playing field as well as in the classroom. 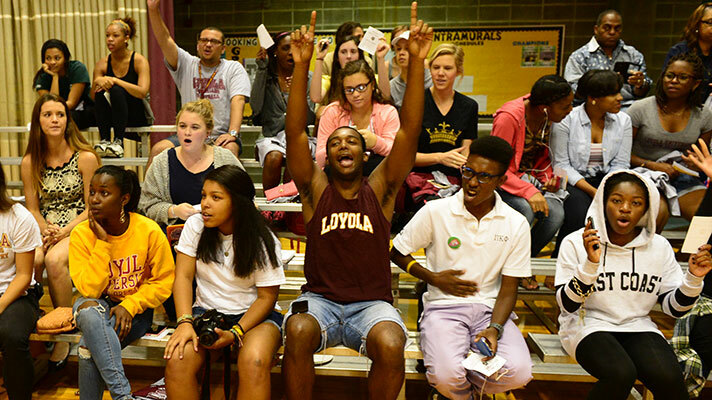 In 2016-17, Loyola added swimming and competitive cheer and dance to its athletics program. 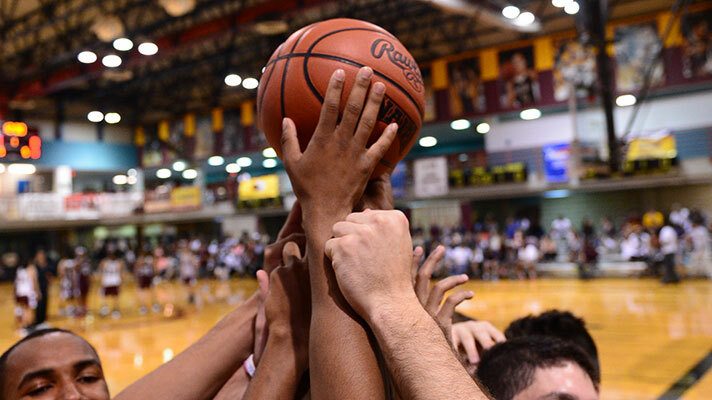 Gear up for the start of basketball season in the fall and learn the Loyola fight song! Club sports and intramurals allow you to experience the thrill of sports competition without joining an NAIA team. As self-organized student organizations, Loyola’s club sports can be non-competitive, instructional in nature, or fiercely competitive, as is the case for Loyola’s Men’s Rugby Club - a team that has competed at the national level. 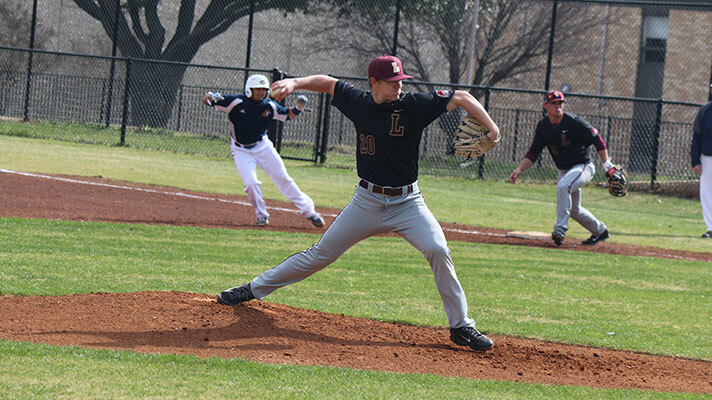 Intramurals at Loyola also offer both competitive and recreational teams with teams representing various student organizations on campus battling out rivalries on the field. Avoid the pesky “freshman 15” by working out your stress and body in the state-of-the-art University Sports Complex. Programs range from fitness testing and group exercise classes to personal training and yoga. Group exercise classes include water workout, step, stretch, cardio, circuit, and kickboxing. Facilities are available night and day for walking, running, swimming, and weightlifting. Just like New Orleans is your classroom, it’s also your outdoor gym. You can also take advantage of the moderate temperatures year-round in New Orleans and enjoy the exceptional facilities of Audubon Park, including its clay tennis courts, 1.8-mile jogging path, and 18-hole golf course - all across the street from Loyola. 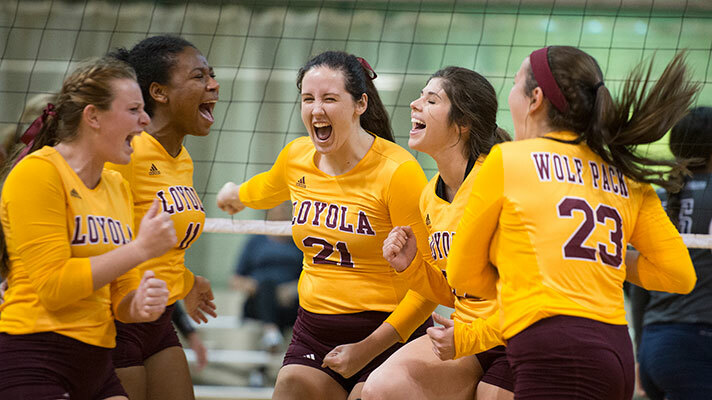 Loyola offers a wide-range of competitive sports for any level of athletic ability and interest. Loyola University New Orleans is a six-time Champions of Character institution as awarded by the National Association of Intercollegiate Athletics (NAIA). 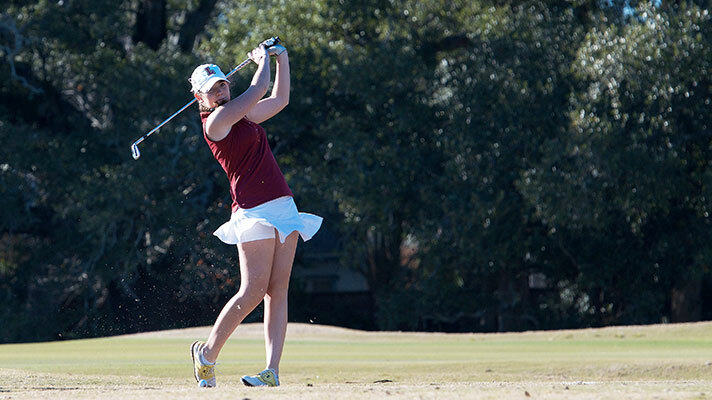 Loyola competes in the Southern States Athletic Conference (SSAC). Wolf Pack athletic events keep fans and the community involved with interactive activities like the annual Havoc’s Fan Fest, which kicks off the basketball season. "Fight, fight, fight, Maroon and Gold!" Don’t miss out on your chance to Back the Pack. Be There! For more ticket information, call (504) 864-PACK. Back the 'Pack! Learn more about Wolf Pack Athletics.